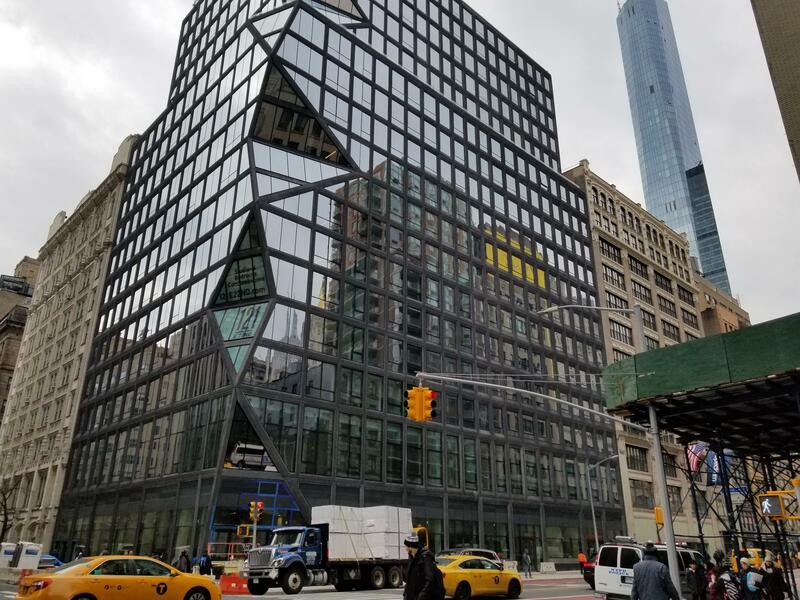 On the corner of Gramercy and Flatiron is 121 East 22nd Street, the first residential building in New York City designed by world-renowned architectural firm OMA, founded by Rem Koolhaas. The unique 18-story building offers 140 residences with diverse layouts, contemporary design, and fabulous amenities throughout. Residents at 121 East 22nd enjoy a carefully curated selection of amenities that includes an indoor pool, a landscaped courtyard, an indoor/outdoor residents’ lounge, a rooftop terrace, fire pit, grill, a private dining room, catering kitchen, fitness center, screening room, and a children’s playroom. The building also offers an automated indoor parking system and full concierge services. For the Residences at 121 East 22nd, the architecture and design team selected a custom hardwood and color from Kahrs in the Nouveau style. Known for its earth tones, Kahrs Nouveau displays as the perfect flooring base for use in a variety of interior styles. The flooring elements breathe life and variation into the surface color of the custom wood tone. In this case, the hardwood is also installed over a “sound mat” which diffuses sound transmission from one floor to the next. 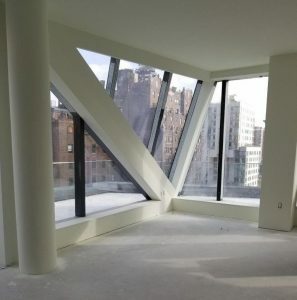 With stunning interiors and amenities throughout the building, this extensive flooring project includes a children’s area and media rooms that require something unique on the floors. Both areas feature custom dyed carpeting from Bentley Mills expertly installed by Direct Flooring’s team. The thoughtfully designed homes, which range in size from studio to 5-bedroom, feature high ceilings, oversized windows, and wide plank flooring, start at $1.4 million. For more information about 121 East 22nd visit https://www.tollbrothers.com/luxury-homes-for-sale/New-York/121-East-22nd. Choosing, installing, and maintaining hardwood flooring is our specialty. Direct Flooring is recognized for its experience in the commercial flooring industry. Our staff has diverse backgrounds in construction, manufacturing, project management, installation, and product care. 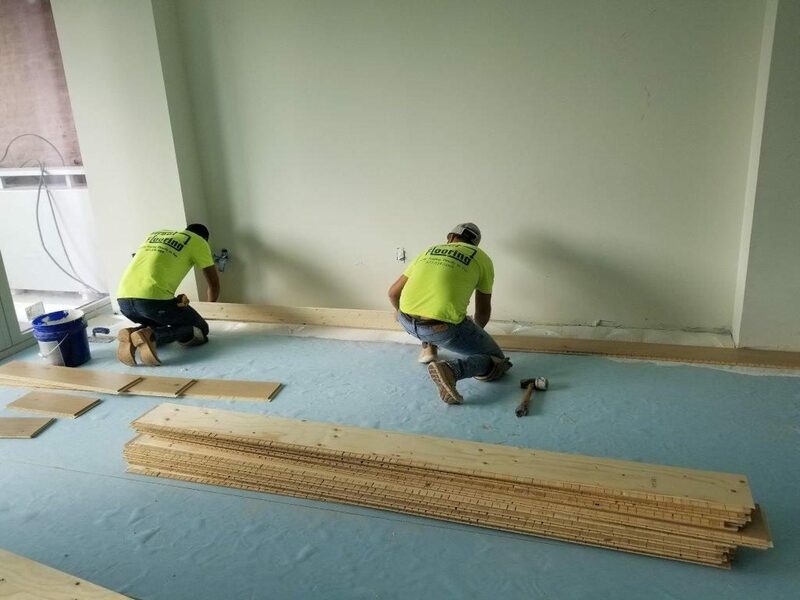 Our team is highly equipped to help architects, designers, and contractors to meet the most challenging flooring projects head-on. For more information about Direct Flooring visit https://directflooringmetro.com/.